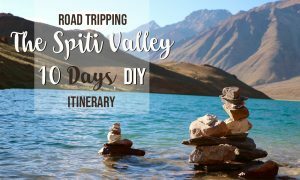 Just like so many other places in India, The Spiti Valley in Himachal Pradesh has been on my bucket list for the longest time. 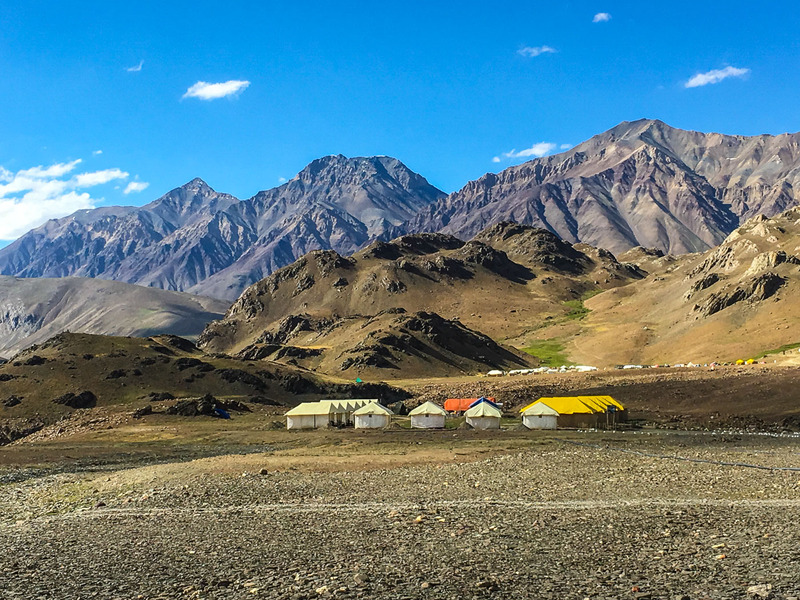 My cousins recently went on a ‘sister-trip’ to Spiti and came back raving about the grandiose beauty of this valley, which spurred me to prioritize it on my bucket list. 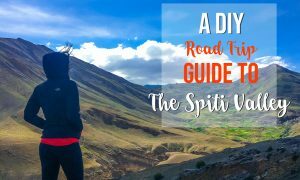 From everything I read about Spiti, I was informed it was an adventure for travelers who dared to go off the beaten paths, which was right up my alley! This trip reinforced my notion that “it’s not always about the destination, but it’s the journey that really matters!” Whether you have 5 days or 12 days to spend road tripping through this cold desert, I highly recommend it. 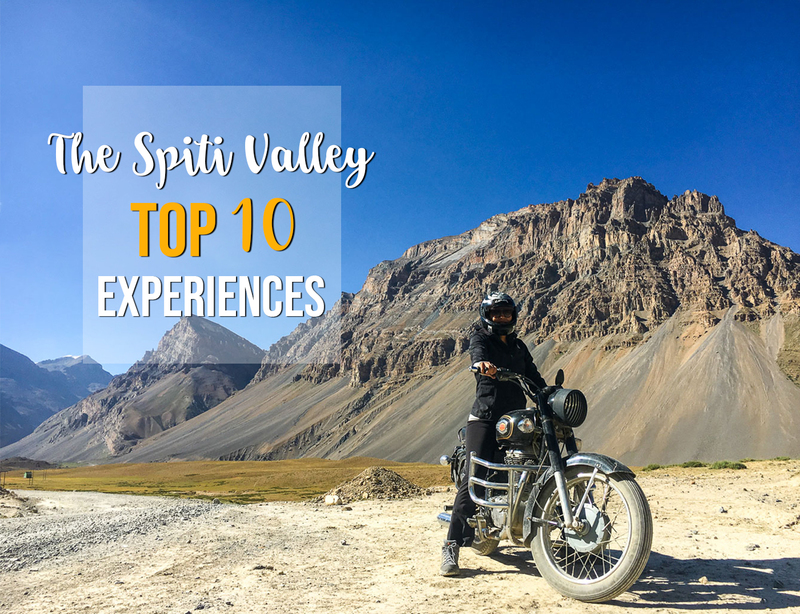 Here are my top things to do in Spiti Valley for an incredible experience. 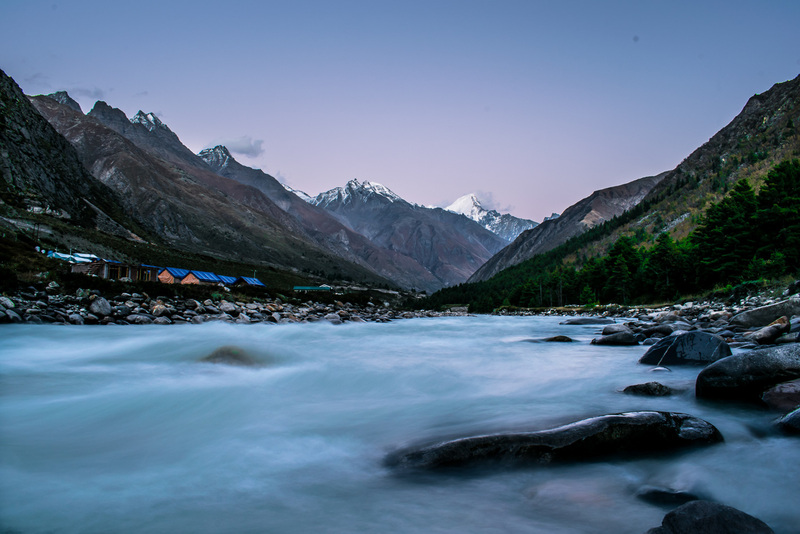 Chitkul, situated on the banks of the Bhaspa river in Kinnaur district, is the last village on the Indo-Tibet trade route. 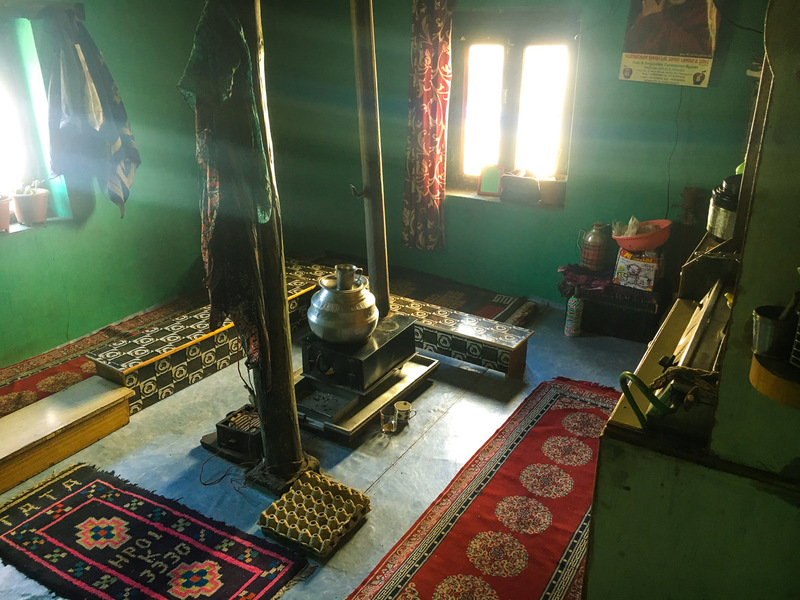 My initial plan was to stay the night in Sangla, a bigger neighboring town that is only an hour away, but on reaching Chitkul, I immediately knew I wanted to stay there. Cut off from the rest of the world, the peace and tranquillity experienced here is something else and will instantly reinvigorate your spirit. You can get a wooden log house room for a mere Rs.600 a night (10 USD). In a world dominated by instant messaging and e-mail, this is the best souvenir to send to your loved ones. Nothing beats receiving an old-fashioned snail mail, especially when it comes from the highest post office in the world. Perched at 14,400 ft., Hikkim is the highest post office in the world. Ever since it was established in 1983, it has been run by a very cute gentleman named ‘Rinchen Cherring’. 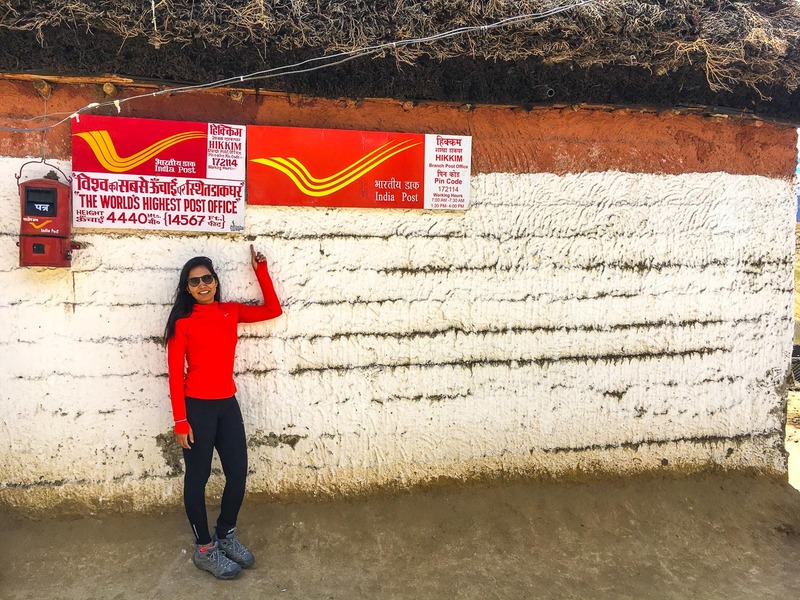 Hikkim isn’t the most accessible places, but this determined and passionate postmaster makes daily rounds from Hikkim to Kaza to deliver mails, which are further routed to Shimla and Delhi. Don’t forget to write a letter to yourself along with your loved ones. You can still see the hair on its head and shining white teeth. You have to see it to believe it. 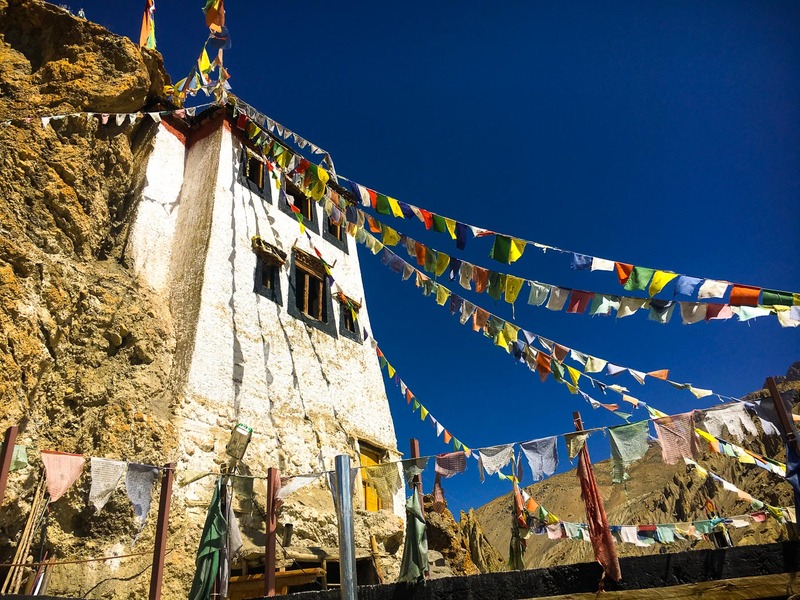 Most travelers end up missing the Gue Monastery and head straight to Tabo. I definitely think it’s worth the short, hour-long detour. Gue village is home to this apparently 550-year-old mummy. One version of the folklore mentions the drought in Tibet where several lamas were mummified and later destroyed when China took over Tibet. However, during the 1975 earthquake, one of the mummies ended up in the Spiti river, which is how it got to Gue. 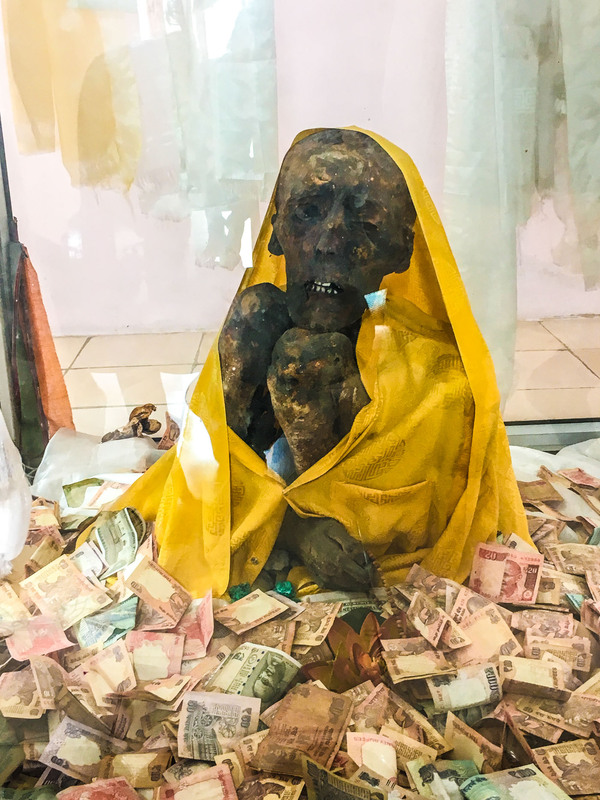 The other version of this story describes this as the mummy of Sangha Tenzin, a Buddhist monk who had sacrificed his life to save the village from a plague when scorpions took over the Gue Village. In either case, it’s definitely worth a visit. While planning my trip, most people recommended I experience a homestay in Tabo to encourage and promote ‘eco-tourism’ there. When I got there, the village seemed very prepared for tourists and it almost seemed staged. 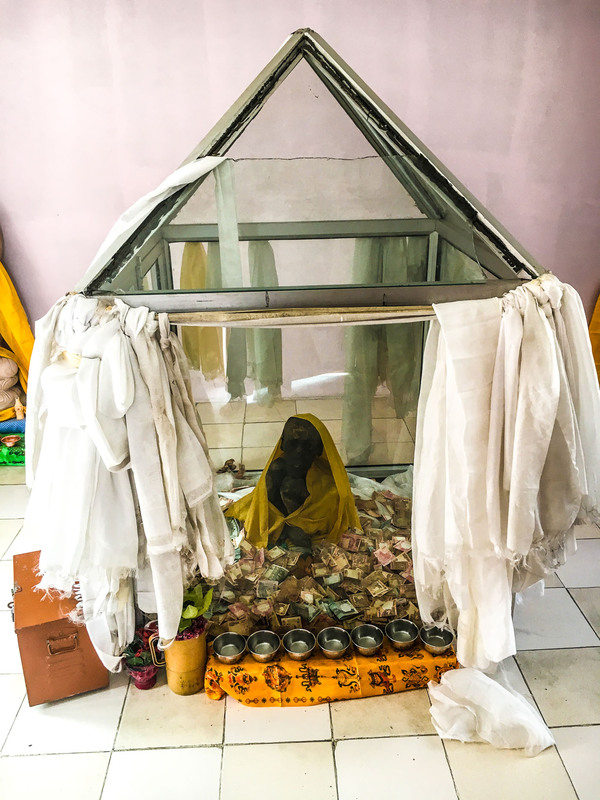 Don’t get me wrong, I really loved the old monastery in Tabo and the mini-trek to the human caves around the village, but something felt amiss and I was a little underwhelmed. I recommend stopping at a tinier village called ‘Mane’, which is only 15 kms ahead of Tabo, but less touristy. 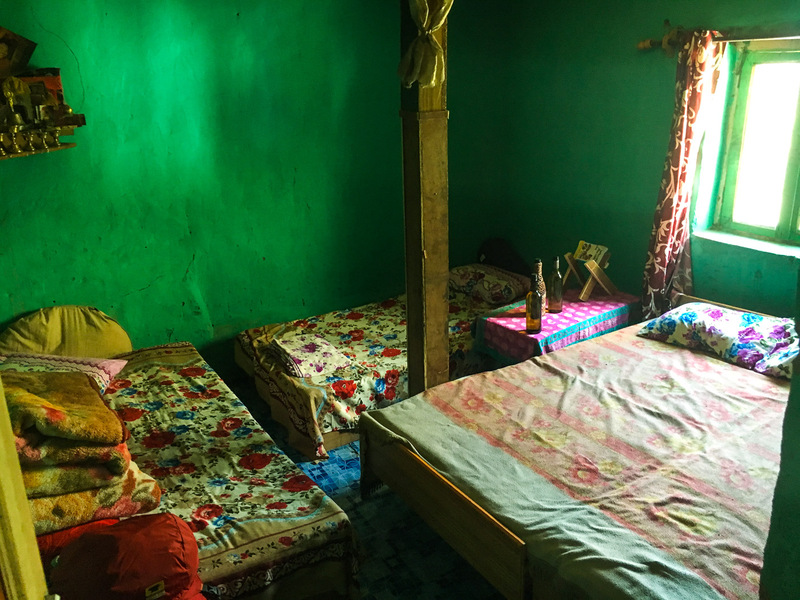 As of August 2017, when I visited Mane, there was only one lady who ran a home-stay under her own name called ‘Lobzang’s Homestay’. It was one of the best experiences of my trip and one that was 100% authentic. She welcomed us as if we were her family, showed us around the whole village, cooked the most delicious Spitian dinner and breakfast, took us to the river for a morning stroll, introduced us to homemade ‘Arak’ (local liquor), sea buckthorn juice/tea and apricot jam all for a mere Rs. 600 (10 USD) a night. This couple had so little, but still so much to give! Feel free to email me for her details if you decide to go there. 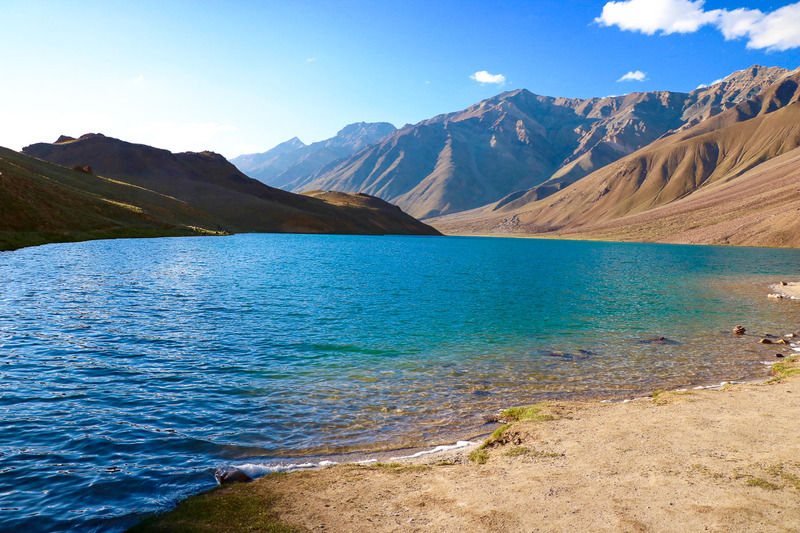 A two-hour hike from Dhankar Monastery will lead you to the beautiful Dhankar lake, which offers breathtaking views of the Dhankar village and monastery. 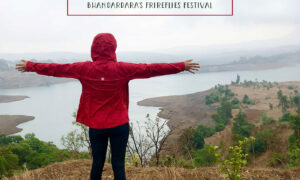 The next time I’m there, I’m not missing it for sure! 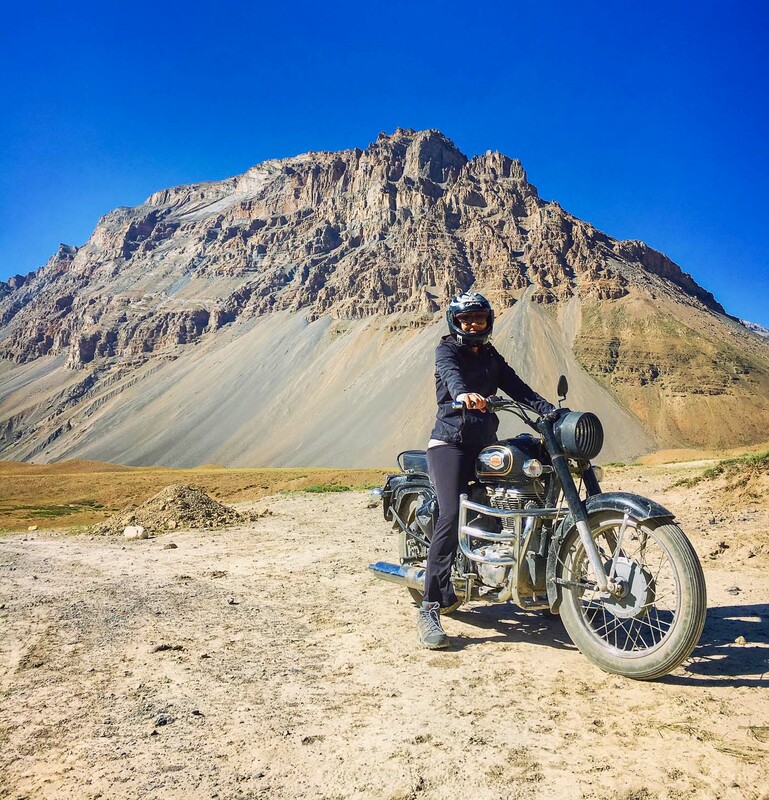 Until Spiti, I hadn’t been on a biking day trip with all the fanfare. I always saw groups of bikers with their Royal Enfields and biking gear but never could understand the thrill that came with it. 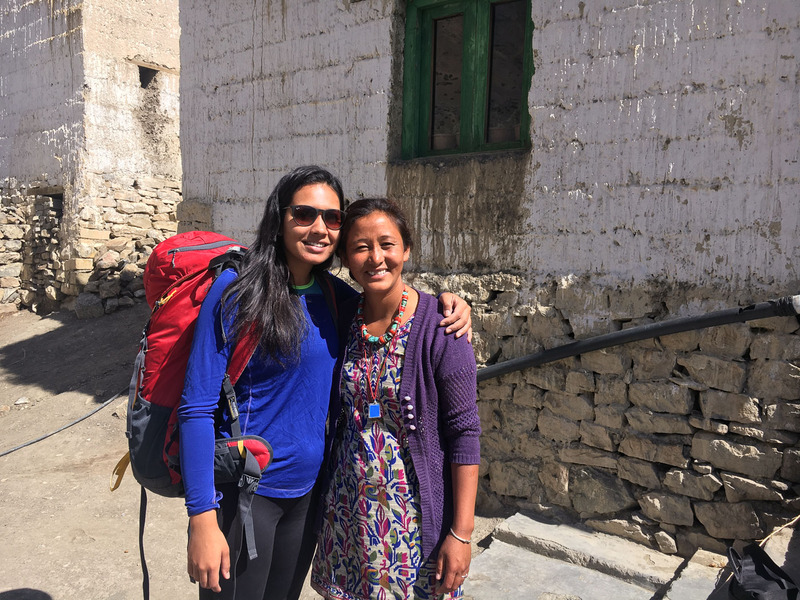 But I couldn’t have asked for a better place to experience it all than the enchanting Spiti Valley? 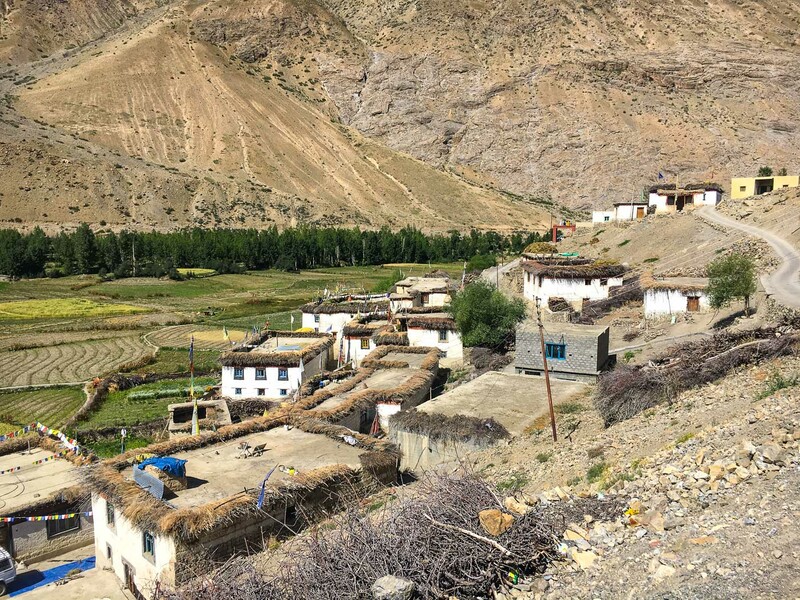 Depending on the season you are there, you can easily rent a bike from the market in Kaza for about Rs. 800-1,200 (12-18 USD) a day. Anybody can rent a bike, even a foreigner with an international license. If you don’t know how to ride one, find someone in Kaza to take you for a ride. It’ll totally be worth it, I promise! To be totally honest, I didn’t know what a Himalayan Ibex was until my driver told me our mission on this trip was to spot at least one. As I found out, the Himalayan Ibex are very elusive and only found at altitudes higher than 3,800 meters. 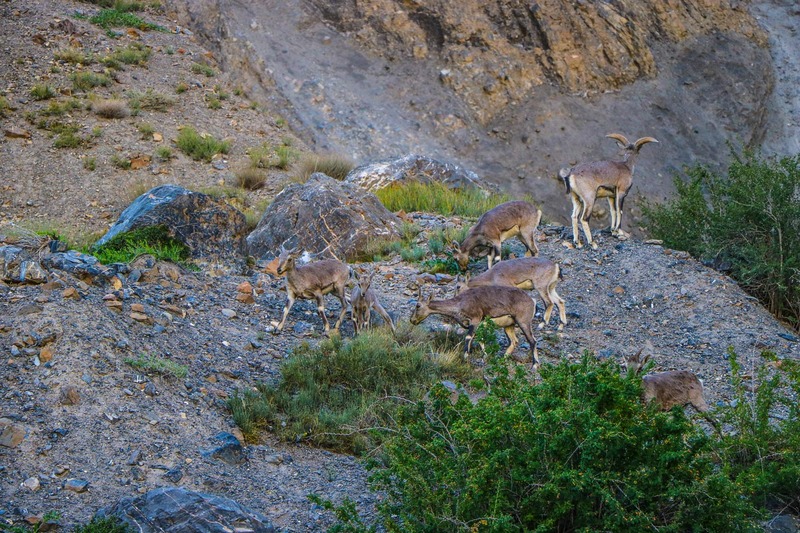 Many wildlife seekers travel the region to spot an Ibex and often return in vain without seeing a single one. We were fortunate enough to spot them in the mountains on day four. They looked like a mix of a goat and deer. We stopped at the side of the road and waited a few minutes and they actually came down to the road to greet us. I can’t remember the last time I saw a billion stars and the milky way in the sky, but that’s a regular occurrence in Spiti Valley. Although it is really windy and cold at night, it is still worth sitting outside your tent/homestay/hotel gazing away and wishing upon a shooting star. All those who live in big cities will definitely appreciate this a lot. Chandrataal or The Moon Lake was definitely a highlight of Spiti. When I got there, I couldn’t believe I was still in India. Perched at an altitude of 4,300 meters, getting there was not easy by any means. It was biting cold and super windy at that altitude, there were literally no roads, which made the ride even more rickety and treacherous. But it was all worth the pain. If it wasn’t so inaccessible, it wouldn’t have been so magnificent. I really hope that this region is left alone and does not get ruined like most other places in India. When I first discovered the Spiti Valley on the internet 4-5 years ago, I remember seeing videos of the waterfall crossings and how deadly crossing them could be. I was so excited I knew this was an adventure I had to embark on. When I finally got to the patch between Chandratal and Rohtang I met a family who was stuck in the ‘Pagal Nala’ for 27 hours because the water level had risen and the car could not pass. Can you imagine being stuck in an Innova with 4 other people and the closest sight or sound of civilization is 10 hours away? Make sure you time your journey in a way to reach this patch before 11 in the morning. I won’t lie, but I loved every bit of the rickety ride on this (no)road trip! All said and done, to be truthfully honest with you, no amount of words and pictures can truly do justice to the rawness and untouched heavenly beauty of the Spiti Valley. It is definitely an adventure you have to push to the top of your bucket list before there are real roads, which in turn brings with it mass tourism. 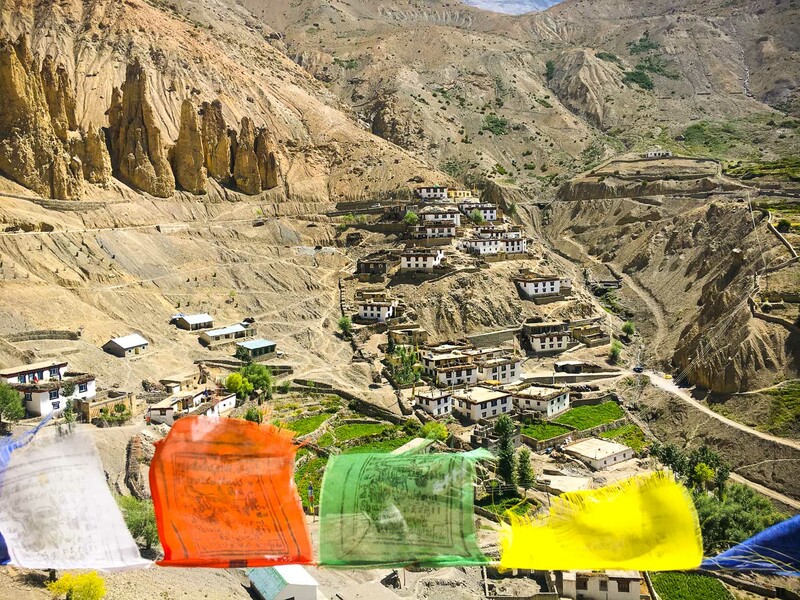 Have you already been to the Spiti Valley? 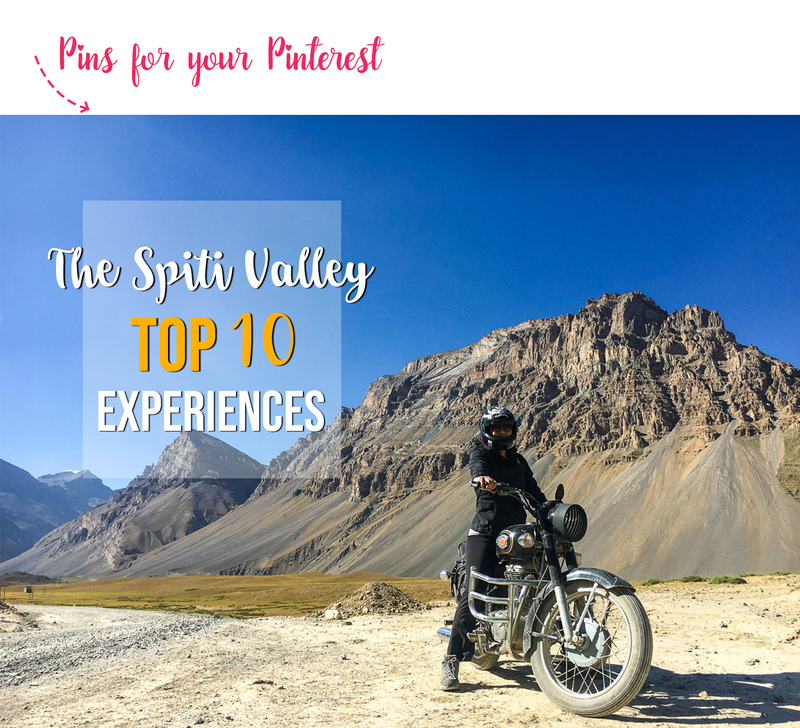 Do you have any highlights to add to these things to do in Spiti Valley list? 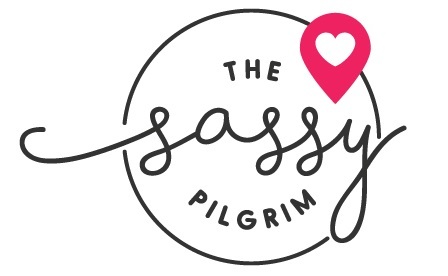 I am totally in love with your blog and travel stories. Reading your blog post on Spiti I am reminded me of own trip to this beautiful place !